The tree breathes as we do in our cars. 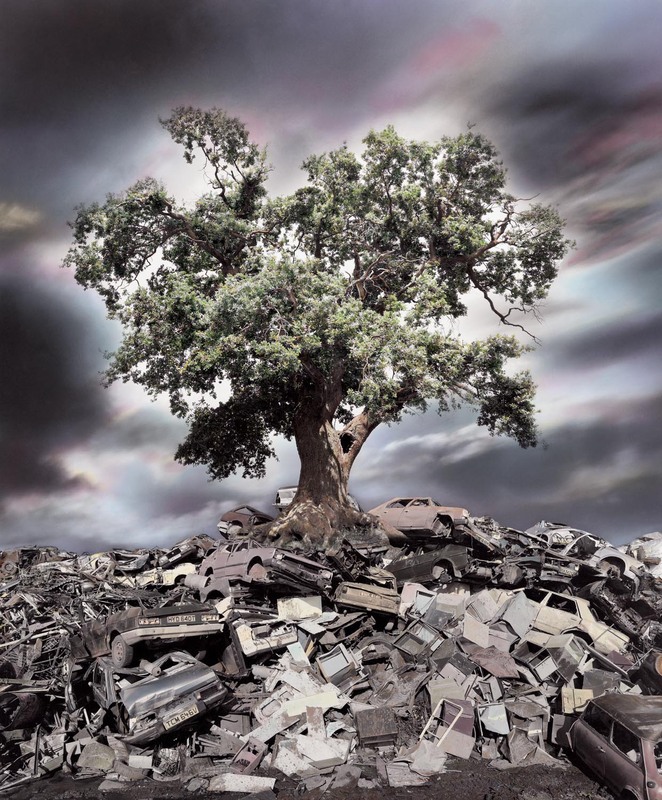 Junk is another old pile of molecules waiting to be re–arranged, just the same as the rest of them. Positive images have a power to influence. Photographic images are powerful as they speak the universal language of our perceived reality. Are we a cancer on the planet and if so will the planet remove us? We will be extinct in time as most of the life forms that have lived here are. Vision is both prophetic and factual.